How do we know the cremation grills at the Operation Reinhard death camps used standard railroad tracks? How do we know these tracks were effective as cremation grills? There is no realistic comparison between the durability of standard railroad tracks and the metal Denierbud used in his experiment. Rather utilizing standard railroad tracks, Denierbud used a lightweight stainless steel grill in his beach bonfire experiment. Eyewitness testimony from Nazi perpetrators, such as Heinrich Matthes, Karl Streibel, Franz Stangl, and Jewish survivors, such as Thomas Blatt and Samuel Willenberg, shows that standard railroad tracks were used on the cremation grills; use of these tracks posed no problem, as no significant issues were ever reported. Where did the Germans get these railroad tracks? These tracks would have been readily available near every railway line. Formal requisitions to Berlin for “special alloy steel” rails would have taken forever to receive—if they even existed. This was especially true in wartime, when such materials were scarce and needed elsewhere in the war effort. Were standard railroad tracks strong enough? The process of using standard railroad tracks in the cremation grills evolved as the Nazis learned what materials would be best for their grisly work. 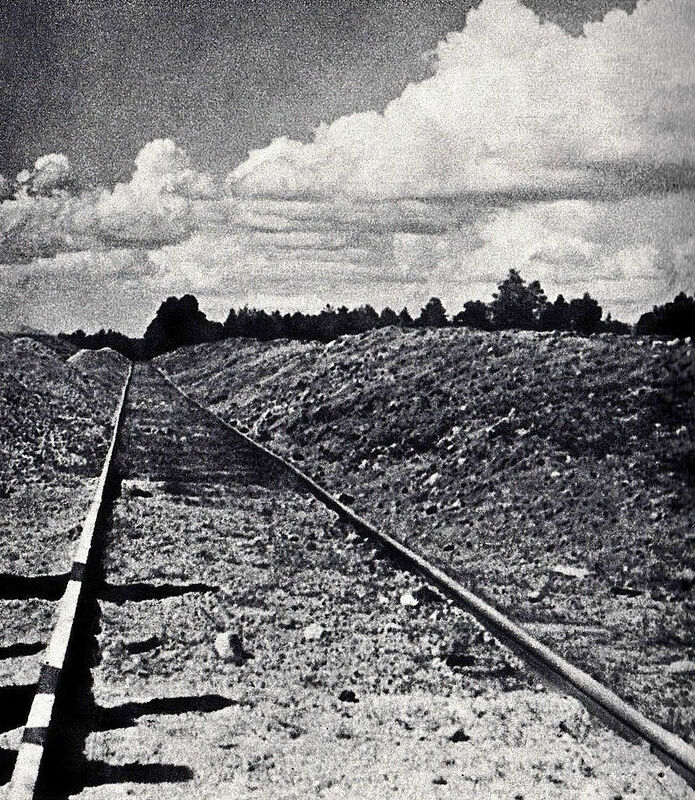 Paul Stangl, the commandant of Treblinka, related: “I know that in the beginning they used rails from the trolley to build the incineration grill. But it turned out that these were too weak and bent in the heat. They were replaced with real railroad rails.” The “trolley” to which Stangl is referring was a small-gauge track laid from the gas chambers to the burial pits. On this track, carts loaded with remains were pushed along by prisoners. Meanwhile, standard railroad tracks are hardened in the manufacturing process; they are designed to hold up continuously under the weight of heavily-loaded trains and withstand all types of weather. The fact that even these strong railroad tracks needed replacement from time to time is a testament to the fierce and extended heat of the pyres. There is no realistic comparison between the durability of standard railroad tracks and lightweight stainless steel grills used for simple beach bonfires. The speculation and faulty experiments of Holocaust deniers, like Denierbud, are of no evidential value. The eyewitness testimony of SS men Heinrich Matthes and Karl Streibel; the commandant of Treblinka, Franz Stangl; and Jewish survivors Thomas Blatt, Chil Rajchman, and Samuel Willenberg shows that standard railroad tracks were used on the cremation grills. “One Third of the Holocaust” at http://www.youtube.com/watch?v=taIaG8b2u8I at approximately 3:09 minutes. Yitzhak Arad, Belzec, Sobibor, Treblinka: The Operation Reinhard Death Camps (Indiana University Press, 1987), p. 174 citing Treblinka-Franz, Band 10, p. 2057. Chil Rajchman, The Last Jew of Treblinka (Pegasus, 2009), p. 86. Yitzhak Arad, Belzec, Sobibor, Treblinka: The Operation Reinhard Death Camps (Indiana University Press, 1987), p. 172 citing Sobibor-Bolender, Band 9, p. 1743. Thomas Toivi Blatt, From the Ashes of Sobibor: A Story of Survival (Northwestern University Press, 1997), pp. 113-114. Samuel Willenberg, Surviving Treblinka, edited by Wladyslaw T. Bartoszewski, translation by Naftali Greenwood (Basil Blackwell, 1989), pp. 107, 108.